All the excursions last from 2 to 3 hours and are dependent upon the water levels and weather conditions. All excursions are included in the cost of your stay with the exception of the visit to the Jibaro community which currently costs $30 per person. This is the perfect way to start your day in the Peruvian Amazon. About an hour before sunset you will boat along the Yarapa and Ucayali rivers until you reach The Amazon River. Here you will enjoy “breakfast in boat” while observing the world famous Pink and Gray River Dolphins of the Amazon during their morning feeding. Enjoy sunrise over the skyline of the Amazon rain forest. If you’re feeling particularly adventurous you can jump in and swim with the dolphins. As with all excursions, there is always a chance that you catch a glimpse of other types of wildlife such as sloths, monkeys, iguanas, and birds along the edges of the river. This excursion is a guest favorite. We will often recommend that you enjoy this excursions on the day of your arrival at Treehouse Lodge. It’s the perfect kick-off to an incredible time in the Peruvian Amazon. Just before dusk you will boat along the Yarapa and Ucayali rivers until you reach the Amazon proper. The world famous Pink and Gray river dolphins will start to appear near your boat while the sunset gives the perfect backdrop. Take a moment to breathe the freshest air on the planet. Listen to the sounds of the Amazon as you start to welcome nightfall. Just after sunset you will head back to the Lodge and prepare for an evening and night of Amazonian adventures. For centuries, River people have moved along the Amazonian rivers in dugout canoes. Even today, this mode of transportation is the best way to explore the creeks: navigating slow, listening to the sounds of the jungle, and observing nature, attempting to imitate the exact way ribereño people see the forest. If you are a bird watcher from the canoes, you can observe and take pictures of many species of birds that feed and make nests close to the river shores. Many species of primates such as brown capuchins, squirrel monkeys, and saddle backed tamarins are easy to spot. You may even be able to observe rare and elusive creatures such as the river otters from the dugout canoes. At some point we will stop and fish for piranha! We will carry aboard wooden poles, with string and meat. When the piranha bites, you lift up the pole and voila. Not to worry, we will retrieve the fish for you. One of our most popular excursions, Piranha Fishing, will be one of the great adventures you have while visiting Treehouse Lodge. Travel by boat to one of the many great piranha fishing spots in the area. Armed with a wooden pole, string, hook, and meat, you will lower the bait into the water. When the piranhas strike (and they will! ), simply lift up the pole. Don’t worry, we will retrieve the fish for you. We have yet to have a guest that hasn’t succeeded. Once you’re done you can choose to catch-and-release, or, if you prefer, the chefs at Treehouse Lodge will prepare the piranha as a side dish to your nightly meal. The rainforest is like a green pharmacy where you can find many plants used to treat different diseases. You can find medicinal plants for headaches, stomachaches, broken bones, hernias, and rheumatism – even for diabetes. 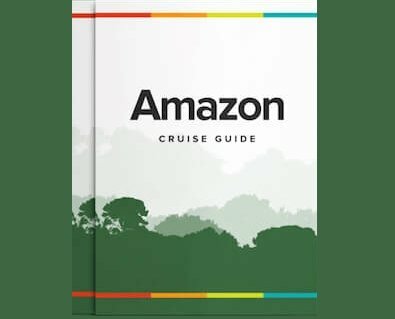 On this Amazon Jungle excursion, you will explore through this greenery in search for some medicines found in each plant or tree, learning the secrets of the jungle and the relationship between plant and man; all the while bringing you closer to Mother Nature, protector of all the living organisms on our planet earth. The Amazonian people are the preservers of knowledge passed from one generation to another. Before cutting a plant in preparation for extracting medicine, many medicine men ask permission of the protector of the forest; if they don´t ask permission the medicine doesn’t work. This ancient belief is responsible for keeping the superpower natural forces in harmony. Join this jungle walk to witness the only nocturnal monkey that can be spotted during the daytime. These primates make their homes in tree holes and, once located, can be seen sticking their heads out to take a peek. You will walk along a trail that runs close to an old tree where these night monkeys can be seen. They have a good sense of hearing, are very curious, and apparently evolved into nocturnal animals in order to avoid competition over food. On this walk there is also a chance that you can spot any of the following species of monkeys: owl monkey, pygmy marmoset, monk saki, squirrel, red howler, duski titi, wooly monkey, and tamarins. Embark on an adventurous boat ride through the tributaries of the Amazon. You will see abundant wildlife and nature in all of its glory while we search for the Amazon River’s specialties such as Blue and Yellow Macaws, Wattled Jacanas, Trogons, Black Collared Hawk, Oropendolas, Yellow-Headed Caracara, and Tanagers, among others. Your guide will also help you spot sloths and monkeys in the trees above you as you cruise around the Yarapa and Cumaceba rivers. If you enjoy the river by day, just imagine the life that awakens at night. On our night excursion, you will travel along the river, looking for wildlife with flashlights. The chances of spotting wildlife are good. You will see creatures like beautifully colored frogs resting on the floating plants on the edges of the creeks. You will see fishing bats that catch their prey using their talons like hawks, detected by sophisticated sonar. By the light of your flashlight, you will see owls, and caimans (located through their red eyes) that venture through the dark to catch their prey. At night you will also find creatures such as kinkajoos that feed on fruits and berries. They are easy to see while jumping from branch to branch on trees along the river. Even the opossum that feeds on birds can be spotted primarily at night. These are just a few of the many creatures that love to come out at night. Depart Treehouse on a motorized canoe along the Yarapa and Cumaceba rivers. The mysterious sounds of the jungle will be a highlight throughout the excursion. Caimans are close relatives of the alligator that can be found throughout the Amazon rain forest. Like their crocodilian cousins, Caimans live near rivers and other bodies of water. Most caimans are around six or seven feet long, but the largest species, the black Caiman, can grow to a length of 15 feet. The young caiman are much smaller and easier to find. While the Caiman is hypnotized by the bright light, your canoe will slowly approach it until your guide is close enough to attempt to catch it with his bare hands and actually lift it out of the water for all to see. After closer viewing, the young Caiman will be returned, unharmed, to the water. After the thrill of this incredible hunt in the dark you will transfer back to Treehouse Lodge. Night time is a prime time for feeding. Once the sun sets, many creatures come out, some are the predators and others the prey. On this night excursion, you will see exotic beetles (rhinoceros and elephant species) and moths (sphinx and rothschildia species). You will also find some lizards sleeping on the leaves. On our walk, you can see diverse species of frogs like the famous owl frog that makes holes in the ground and weighs over ½ pound. Amazonian people use the skin of this interesting anuran to make drums, but the owl frog protects itself from its predator by releasing a milky liquid from its skin. There is also a frog called gladiator treefrog that makes its nest close to the water to keep it from potential rivals and attract females for mating. At some point on the walk we will ask you to turn off your flashlight and stay quiet to let your senses adapt to the darkness, listening to the sounds of the rainforest in order to identify what they are and where they come from. At this moment, you will truly be able to appreciate the vastness of the Amazon Jungle with all its countless secrets. Treehouse Lodge is one of the most unique hotels in the world. Featured by National Geographic as one of the Top 10 Most Unusual Hotels in the World, Treehouse offers the incomparable experience of observing the Amazon rain forest from the treetop canopies. On this excursion you will explore all of the canopy walkways and viewing platforms that dot the area of the Lodge. Learn about the history and architecture of the lodge while you observe wildlife from 30 – 70 feet above the jungle floor. The best way to witness wildlife is by waking up early to the sound of hundreds of birds and monkeys. The suspension bridges are built to bring you closer to all the wildlife that exists around Treehouse Lodge. You will see many species of tanagers, toucans, parrots, parakeets, antbirds, ant wrens, woodpeckers, and monkeys that come to feed on the fruit and insects found on the trees. There are species of birds that never venture closer to the ground because the fruit they eat is found on the tree tops. Being closer to the canopy, it’s easy to see the beauty of these species. In only one early morning, you will observe at least 50 species of birds, 20 of which are uncommon. The variety of wildlife in this type of igapo forest is outstanding. The more appreciation we can gain of these species and the more research we can perform to find new species, the more likely they are to be preserved for future generations. The Amazon rainforest has no distracting city lights and the sky is wide open. A popular excursion for astronomy buffs, It is breathtaking to stare upwards at millions and millions of twinkling stars. Enjoy the serenity of cruising the tributaries of the Amazon as you try to find the Southern Cross. As you can imagine, this excursion is weather pending. Coordinate with your private guide for when a good night would be for this activity. Top tip: Bring a torch or headlamp with you to help you navigate your way to the bathroom in the middle of the night (generators typically stop working after 10pm, and the light switch isn't right next to your bed) and between the social buildings and your bungalows as there are a few dark patches where lamps are spaced out a little far.